I always say that I'm not going to buy any more highlighter palettes, I really do. 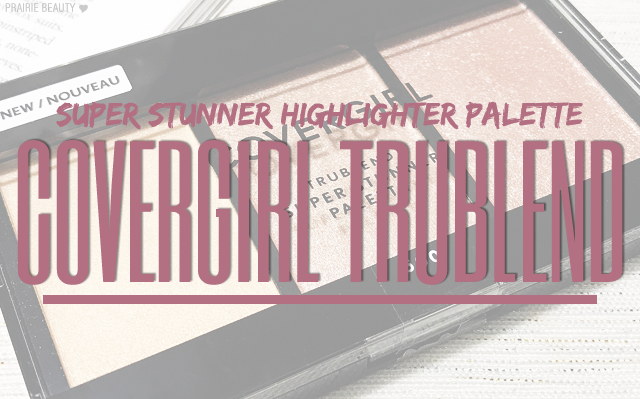 But recently while I was looking at the displays of new CoverGirl products, I saw the CoverGirl TruBlend Super Stunner Highlighter Palette and I really couldn't resist. Until fairly recently, highlighter options in the drugstore were pretty slim - and pretty glittery - so I'm super excited to see some more options coming out because I'm always looking for drugstore products that rival my higher end products. 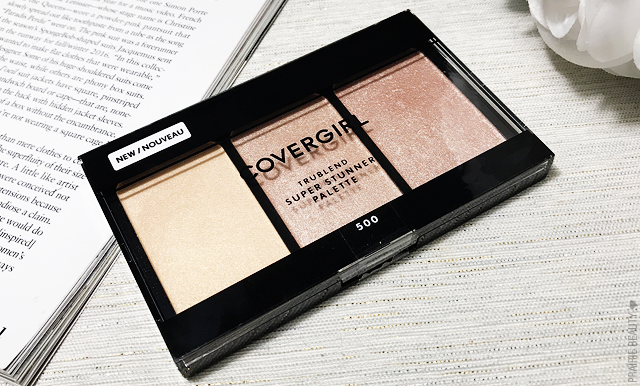 The CoverGirl TruBlend Super Stunner Highlighter Palette is available in two shade options. The first is It's LIT, which is the one featured in this post, and is intended for Fair to Light skin tones. 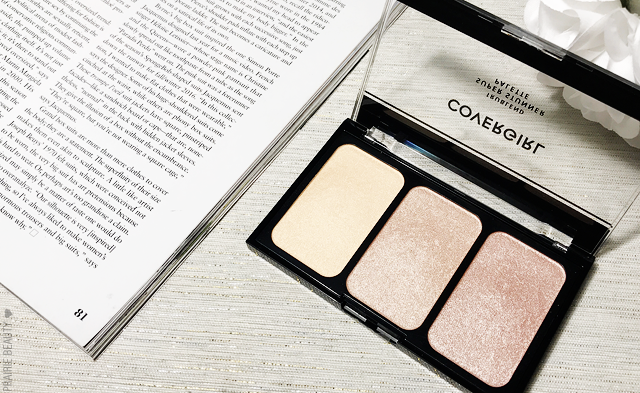 This palette contains more neutral, champagne toned highlighters with varying undertones in quite light shades. The second palette in the line up is Glowing Up, which is for Medium to Deep skin tones and contains more golden/bronze toned highlighters in deeper shades. I think the shade selection in these two palettes is ultimately really inclusive and pretty much any one will be able to find at least one or two shades that will work on their skin tone. I also like that they decided to split them up into two palettes, rather than doing one inclusive palette that would inevitably have shades that people wouldn't be able to use. For me, one of the issues that I have with a lot of highlighter palettes is that they have one or two shades that work on my skin, but the rest are too deep, and I know this is a problem that most people probably have with those inclusive palettes regardless of skin tone. On my fair skin, I find that I can use all three of the shades in the It's LIT palette and get different looks that all work for me. Another thing I like about these palettes is that there's two different finishes in the palette. 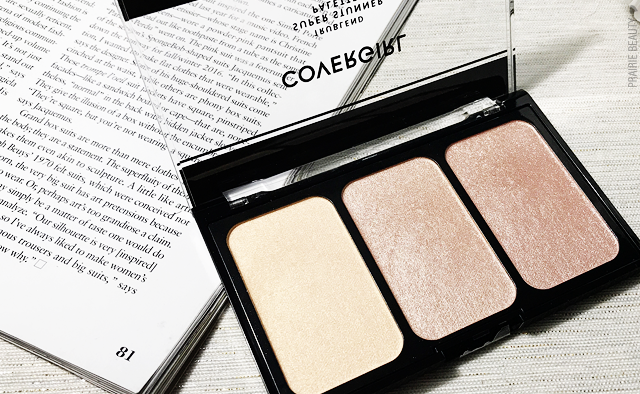 The first shade in each of the palettes leans more towards a lit from within sheen, while the other two shades are definitely more of that in your face, high shine finish. 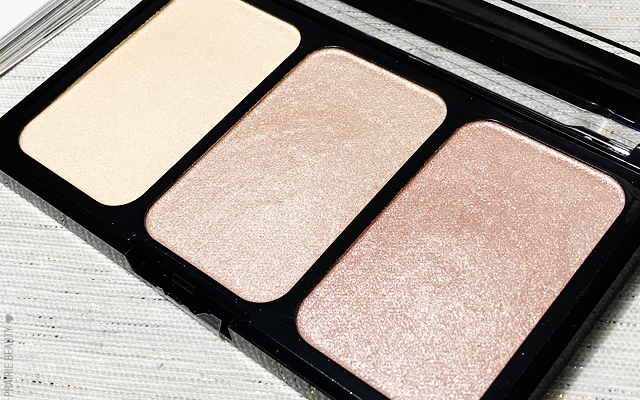 Personally, I prefer the former, but during these summer months when I have a bit more of a tan, I can definitely get into more of an intense glow, so I've actually used and enjoyed all three of these shades. Even though I think most people will have a preference as far as finish is concerned, I think the quality in all three of these shades is really solid and consistent. They're quite soft and easy to pick up on a brush and I find that even the two more metallic shades blend really nicely on the skin so that you get that intensity without the harsh stripe on your cheeks. CoverGirl has really been bringing it with their formulas in their more recently releases, I must say! I have to say, I absolutely love the shade selection in this palette. The first shade in the palette is a pale gold glowing satin and definitely my personal favorite. I was afraid that it would pull too yellow on me when I looked at it in the pan, but it's so light and and has more sheen than actual saturated pigmentation that it ends up looking really natural and just catches the light in a very pretty way. 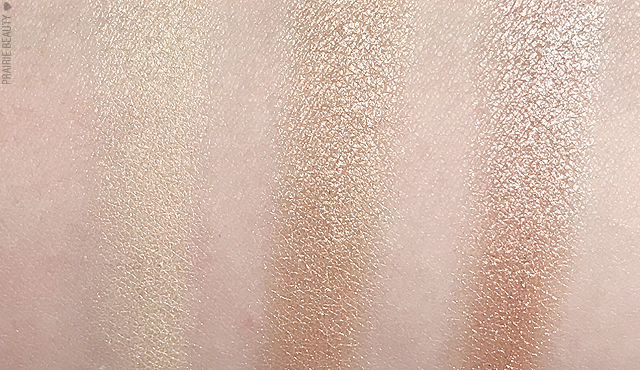 The second shade in the palette is a classic champagne with hints of bronziness that definitely works better on me when I have a bit of a tan or a lot of bronzer. It packs a lot of punch and gives a really reflective look on the skin. It's also not glittery, which is a HUGE plus from my perspective because I'm much too old to have glitter on my cheeks. The final shade in the palette is much more of a peachy rose gold champagne shade that is my preferred way to do champagne because the peachiness works well with my undertones and ends up looking a little bit more natural. Again, this isn't a glittery formula, but still packs a lot of punch. Overall, I think this is a phenomenal highlighter palette and I'm really happy with both the shade selection and the performance. All three of these shades work well on my light skin and I think they'll do well and suit quite a lot of lighter skin tones. I can't speak to how they'll work on really fair skin, but they do all bring a lot of brightness and light on my skin. The formulas are actually really, really good as well with a lot of sheen and brightness on the skin without adding a lot of texture. CoverGirl is definitely continuing to impress me with their new formulas and I'm super excited to see what else they have coming out in the near future! 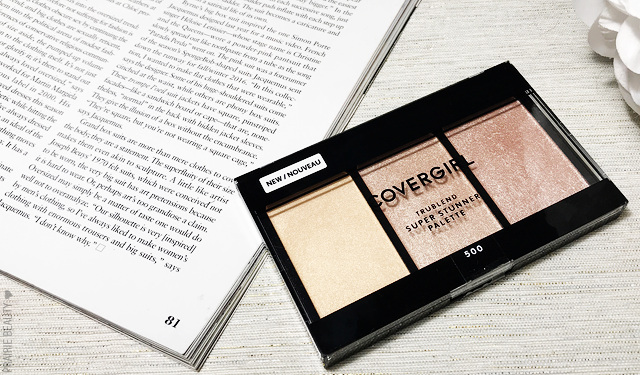 The CoverGirl TruBlend Super Stunning Highlighter Palette is widely available at drugstores now!